Altitude measuring instruments is an object which is used for measuring altitude of an object above a fixed level. 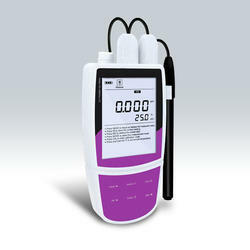 These are highly useful device and benefiting the industries by offering accurate measurements. These instruments are made using high quality raw materials. We are leading provider of these instruments. 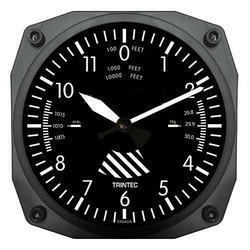 Avail from us a quality range of advanced technology based Altimeter Instrument. 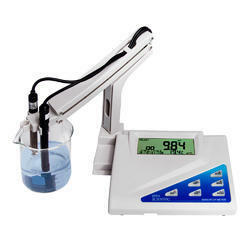 Manufactured using quality tested components, this instrument is marketed at competitive prices. Owing to features like accurate measurements and reliable performance, these are extensively used to measure the altitude of an object above a fixed level. The ISE Fluoride Meter (HI 84184) is a low cost, easy to use, fluoride ISE meter that performs automatic _wine analysis by measuring the fluoride content in _wine using an ion selective electrode. The method used is double standard addition, a simple and rapid method of analysis. The instrument utilizes a powerful and effective built-in algorithm to analyze the shape of the ISE electrode response and to determine the reaction completion. Results are immediately displayed in F- mg/L (ppm), after which the HI 84184 is ready for another measurement. The Benchtop Meter (HI 3512) is a 2 channel professional benchtop meter with a graphic LCD, designed to provide accurate laboratory results. Channel 1 features pH/ORP/ISE and temperature measurement capability while channel 2 measures EC/TDS/NaCl/Resistivity and temperature. This instrument can measure using ORP electrodes (pH channel input), thanks to its capability to measure mV with a resolution up to 0.1 mV and ISE electrodes on ppm scale (pH channel input). The electrode type and unit selection capability and the ISE calibration in up to five calibration standard solutions make this instrument very useful for a large range of concentration solution measurements. HANNA’s exclusive Calibration Check™ diagnostics system ensures accurate pH readings every time by alerting users of potential problems during the calibration process. The pH channel offers up to five point pH calibration with seven standard buffers (pH 1.68, 4.01, 6.86, 7.01, 9.18, 10.01 and 12.45) and up to two custom buffers. Messages on the graphic LCD offer directions for easy and accurate calibration for both channels as well as diagnostics to alert the user when calibration or measurement issues are detected. 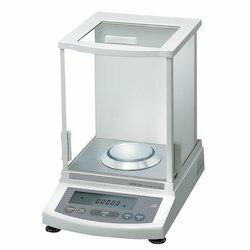 We offers most powerful and cost effective range of Analytical Electronic Balance with superb qualities. These outstanding, top quality instruments offer state-of-the art standard features at incredible prices. These super performers can easily handle anything your lab requires, now or in the future, yet they are simple to operate and priced right. We urge you to compare product specifications, features and price against similar competitive models. 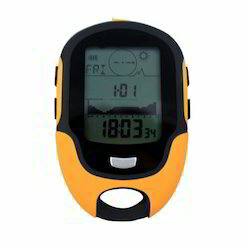 Looking for Altitude Measuring Instrument ?